Did you know some hospitals may be in-network under your insurance plan, but they may also use out-0f-network physicians to do things like give you the knock out juice? And, did you know you may get stuck with the bill? Day 14 of my cancer journey and I only spent two hours on the phone talking to my insurance company. It’s getting better. 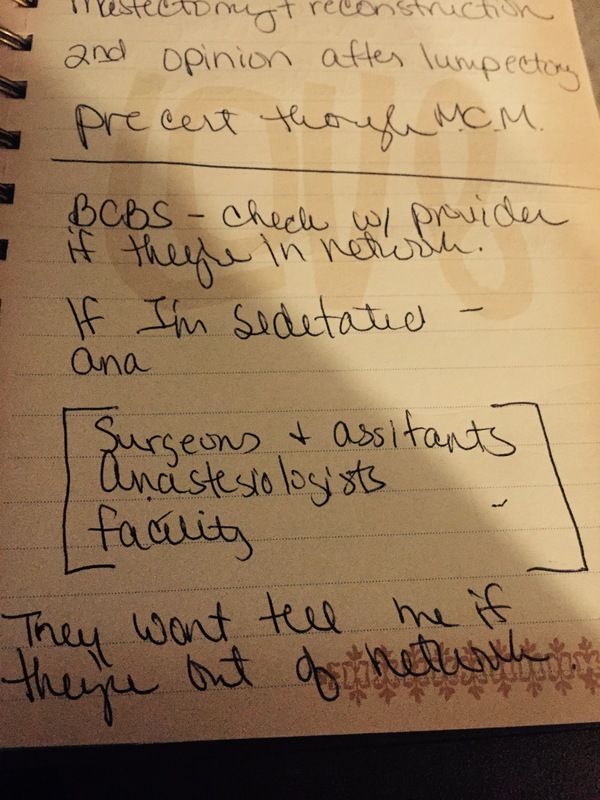 I discovered that it’s my responsibility to make sure all doctors that work with me are in-network. If they aren’t, then I have to pay out-of-network fees which are significantly higher. According to my new friend Nicki at the insurance office, I need to ask the hospital if they use an outside group for anesthesiology. She also told me they won’t offer up that info so I need to ask. The good news is the hospitals and surgeons are in network. Now to find out about the star of the show…..the juice man or woman cuz I’m not going down without the nigh nigh juice. Love you all and please remember to get a mammo annually! Mammo is your ammo in the fight against breast cancer!! !